Our queen rooms feature 2 Queen beds suitable for up to 4 guests. 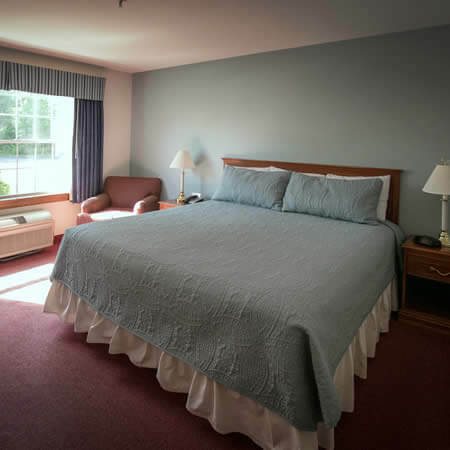 Amenities include writing table with chairs, flat screen tv, Keurig coffee maker, microwave and refrigerator. 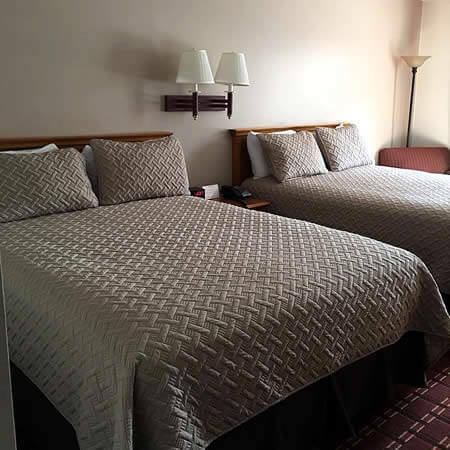 Our king rooms feature a large king bed suitable for up to 2 guests. 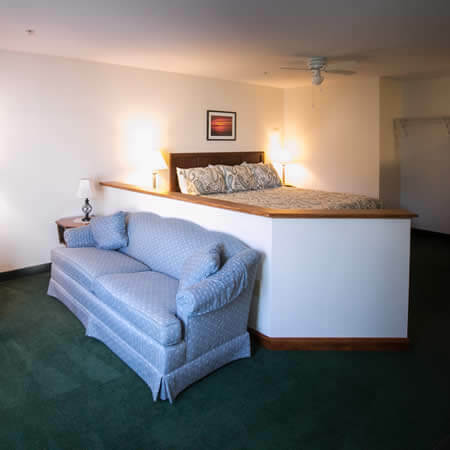 Amenities include writing table with chairs, flat screen tv, Keurig coffee maker, microwave and refrigerator. Standard rates apply for short-term stays. Long-term rates are negotiated individually depending on length of stay, services, and season.